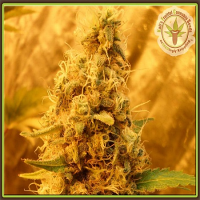 Critical Kush Feminized by Kush Cannabis Seeds is a Sativa based strain who produces huge colas with a great flavour and sharp smell. 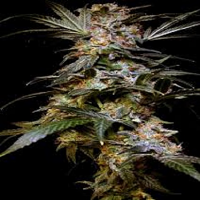 Critical Kush Feminized by Kush Cannabis Seeds is one of the best producers available and with the crossing of the best OG she is a real contender for the title, real heavy buds, which you will need to support from mid flower cycle onwards. 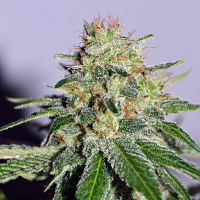 She is fairly resilient but because of the sheer size of the buds keep an eye out for mold.